Last week, the Sunday Spur for Scrapbookers consisted of the inspirational qualities of business cards. This week, print advertising is taking the spotlight. Included here are 10 ads that I find inspiring - some on many levels - and hopefully you will find some inspiration in them as well. 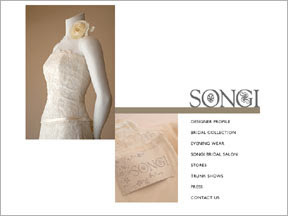 Ad #1 - Songi - This ad has such a sleek, simple design. I love the position of the two photos and the line which 'grounds' the title and separates it from the 'journaling' (perfect for list style journaling). Ad #2 - Imaz Wholesale Imports - Not only am I intrigued by the block design of this ad, I am also drawn to the colors...the deep red, browns, greens and harvest orange. A great combination for a fall layout. It also reminds me that detail photography can be quite dynamic. How about taking some close-ups of your favorite things and create a layout around them. 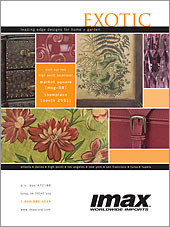 Ad #3 - Vision Wallcoverings - Not all photos must be 'perfect' in order to scrap them. How about a photo like this of yourself to use on a layout about how busy your life is? How about a photo like this of your child(ren) to use on a layout about how quickly they are growing up? 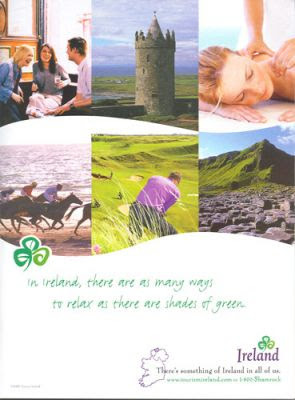 Ad #4 - Ireland - This layout inspires me with its design, colors and its shapes. The 'waves' cut into the photos would be perfect for a pool or beach layout. 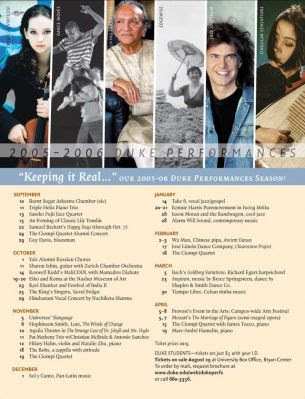 Ad #5 - Duke Performances - This ad is perfect inspiration for the journalistic scrapper's out there...there is plenty of room to record your memories. I envision a layout where the photos at the top are those of you family or friends. The area at the bottom is perfect for recording your memories and/or unique details about each one. 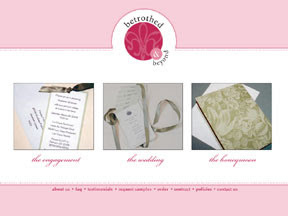 Ad#6 - Betrothed - LOVE the layout of this ad. The circular cut-out at the top is the perfect contrast to the square photos. Also love the color combination here - pink, fuchsia, sage green. 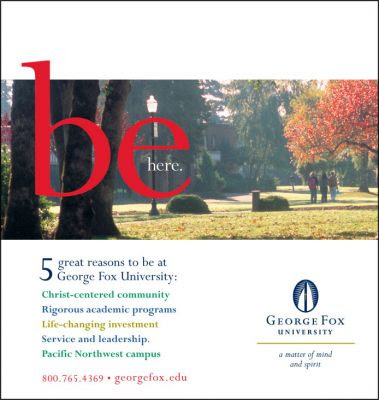 Ad #7 - George Fox University - Have a dynamic photo? Enlarge it so that it spans the width (or length) of your layout like it does in this ad. 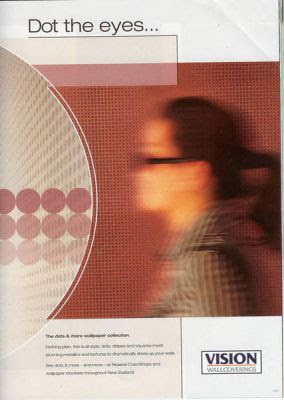 I also love the title treatment in this ad...the large title that overlaps the photos. As far as design, if I were to scraplift this layout (and I just might! ), I would move the journaling block to the bottom right and the emblem (my embellishment) to the top right to create (I think) a more effective visual triangle. 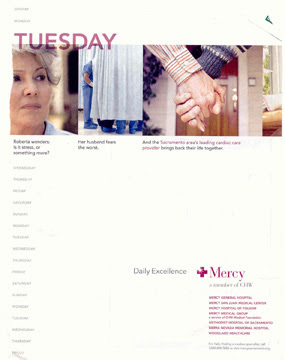 Ad #8 - Publication Council - How about stealing a title? 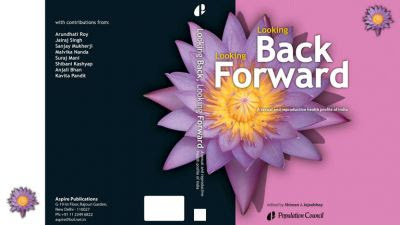 I liked this one..."Looking Back, Looking Forward." This would certainly be a GREAT title for a self-reflection layout. Or, if you find 'all about me' layouts difficult, you could use it for a layout looking back on your child's life and what you hope for them as you look forward. 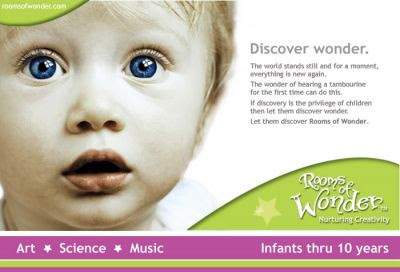 Ad #10 - Rooms of Wonder - Inspired by the photo...love the innocence. Like the color combination of the pink and green as well as the wave on the bottom right and top left. #1 - Leave a comment here. Tell us which one is your favorite ad from above and why. 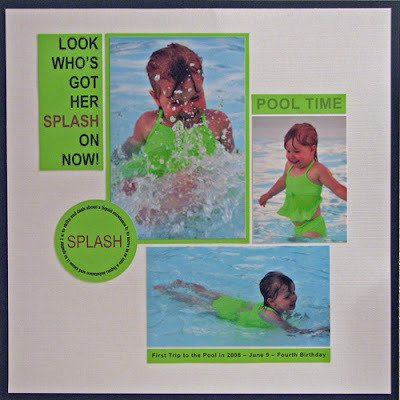 #2 - Create a scrapbook layout using one of the ads above as your inspiration. Remember to leave us a link!